BMW is going to display its Classic Mini-E at the New York auto show paving the way for the upcoming 2019 Mini Cooper EV. This car was renovated by Mini in England as a means of demonstrating Mini, as the entire BMW Group, EV efforts which will continue rolling out following the i3, i8, and other plug-in vehicles from the company. Mini built the Mini-E from the last gen Mini Cooper and field tested resulting in the i3 on the market today. It’s no secret the Germans are gunning for Tesla and there is no doubt about their ability to produce a lot of cars at a high quality level and on-time. The bonus of course is these cars shouldn’t suffer the notorious coolant system woes found on BMWs today. The MINI Cooper SE Countryman ALL4 Plug-In Hybrid model is available now. But Mini is following the i3 and i8 filling in a niche for a much more affordable EV. 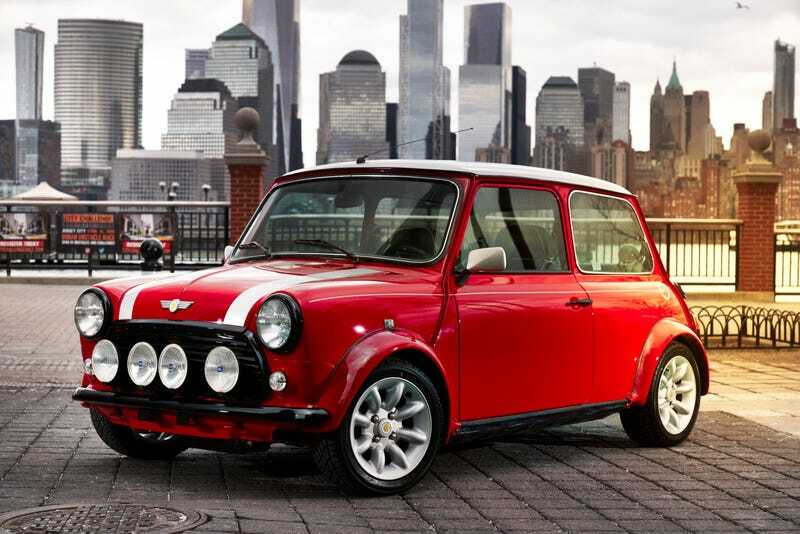 According to Mini “the classic Mini Electric presented in New York will remain unique. A late and carefully restored example of the classic Mini Cooper serves as the basis for this special vehicle.” Will we see company sponsored Mini Classic Es on the market? Probably not, but this portends a bright future for EVs that will be responsive and fun, not bland cars as has been seen in some EVs.